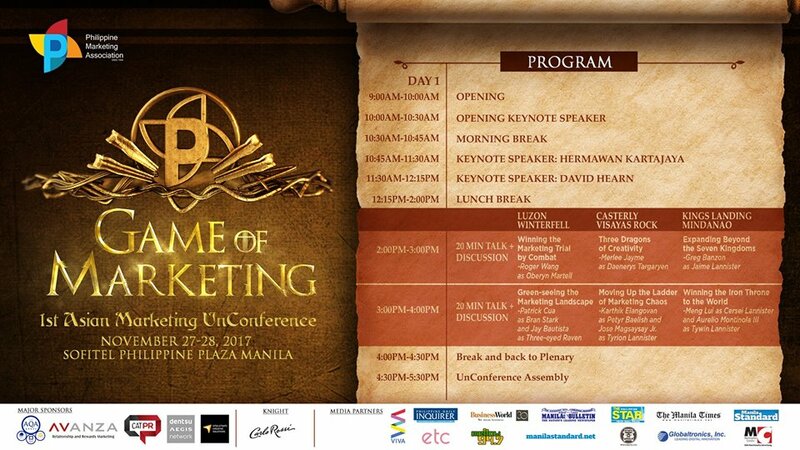 Winter is coming at the Sofitel Philippine Plaza in Pasay City as the Philippine Marketing Association gathers the brightest marketers, creatives, advocates, business leaders, and start-ups for The Game of Marketing on Monday and Tuesday, November 27 and 28. 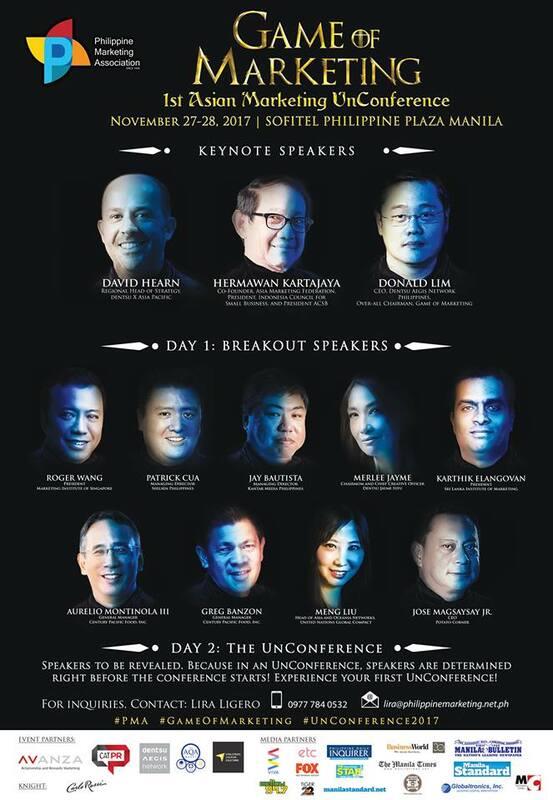 Aside from Keynote and Breakout Sessions from leaders industry on the first day; and for the second day, speakers are determined before it starts, thus making it the 1st Asian Marketing Unconference. From Marketing Fundamentals, Research and Data, Marketing Communications and Media, Creativity and Content, Everything Digital, Industry Marketing, and Innovation and Technology, The Game of Marketing is set to make everyone feel comfortable and active as they continue grasping what Marketing is. 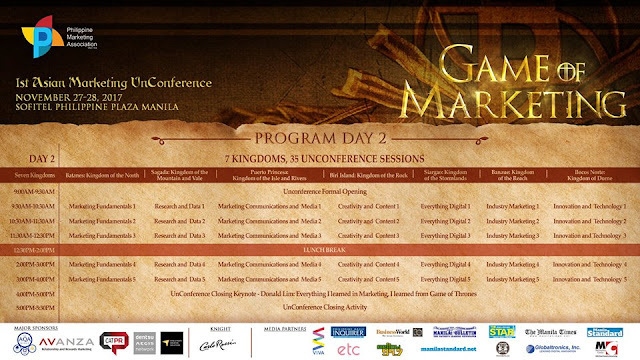 Everyone is in for a treat, so don't miss out on this once-in-a-year gathering - participants and exhibitors are much welcome to contact Ex-Link at 633-0153 or 643-3887, SMS 0920-981-4376 or email info@exlinkevents.com.